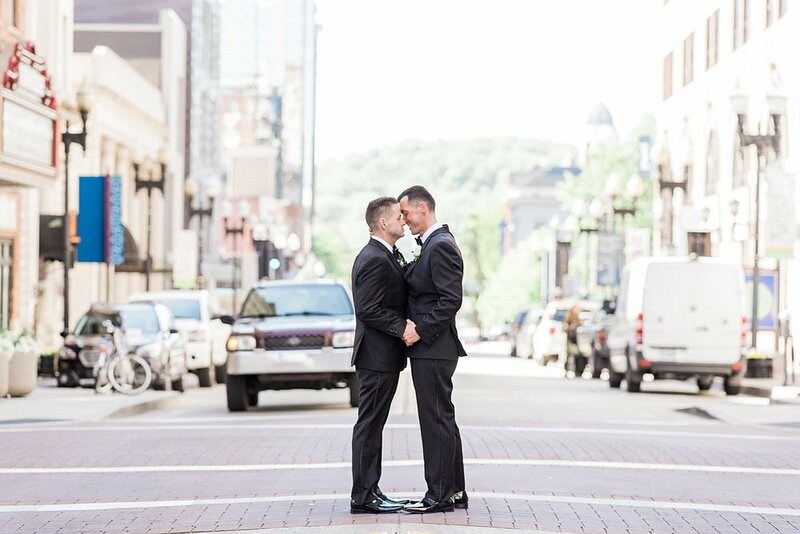 We are bringing you an intimate wedding that took place in the heart of Knoxville in Market Square today. 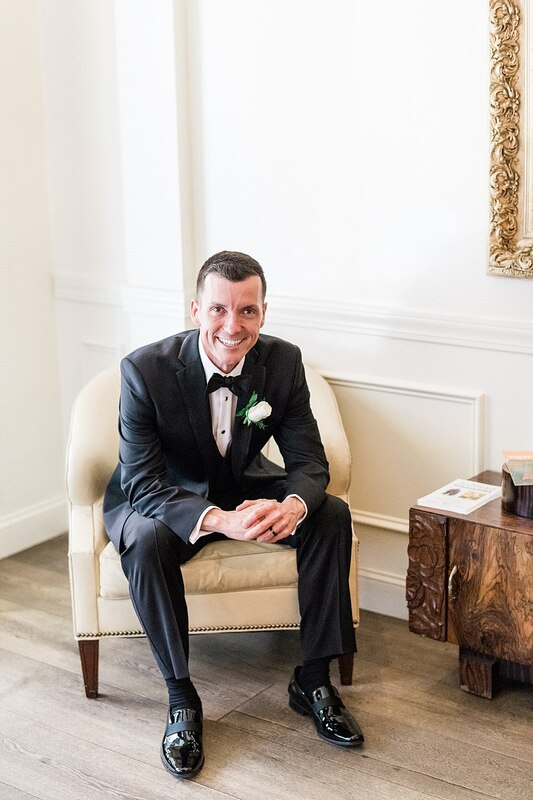 Even in the midst of The Dogwood Arts Festival, we found plenty of nooks to grab some sweet shots of Cory and Matthew, including their getting ready spot, The Oliver Hotel. 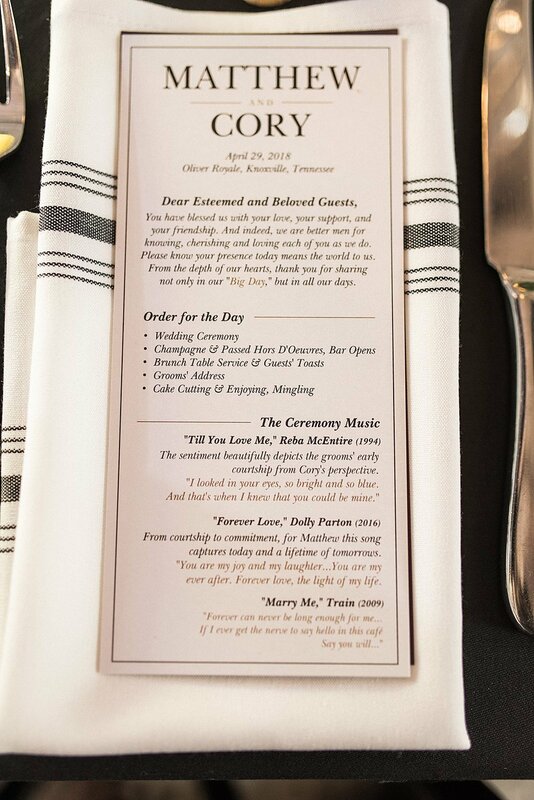 With special surprises for guests (and an awesome surprise for Matthew from Cory at the Tennessee Theatre sign) an amazing brunch menu, and delicious mimosas, this wedding was nothing short of spectacular. Cory and Matthew invited their friends and family to join them at Oliver Royale for a unique and perfectly planned affair. 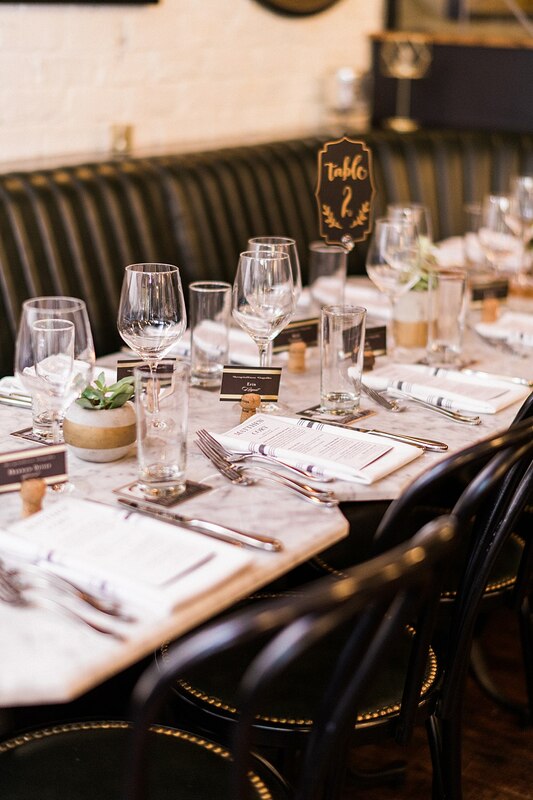 Even before the wedding, though, we were super impressed by the newsletters this couple sent out periodically to guests regarding their story, wedding event updates, accommodations, and things to do and see in Knoxville during their stay. Talk about an impressive way to build excitement with your loved ones! 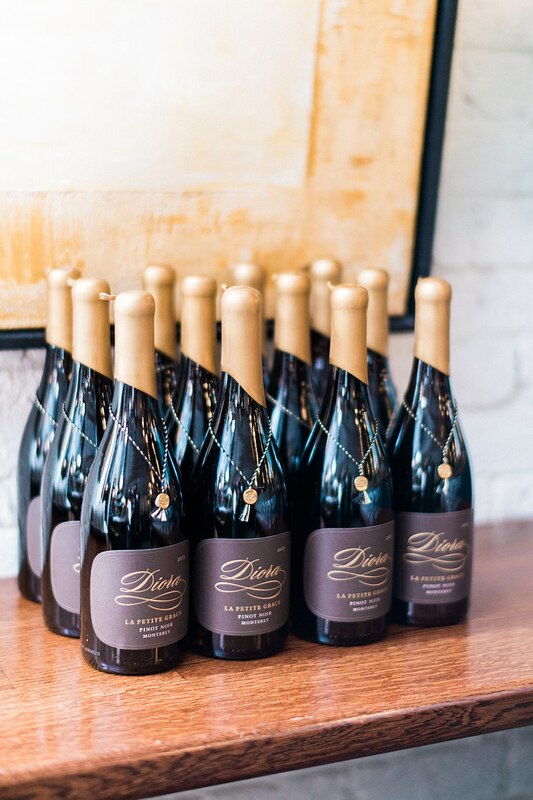 Each place setting at the venue included a personalized place card utilizing wine corks and an elegant program and menu with gold accents. Even the drink coasters featured images of the happy couple. Guests were treated to a fantastic meal ordered on site with options like eggs benedict and banana bread French toast and various drinks perfect for a brunch wedding. 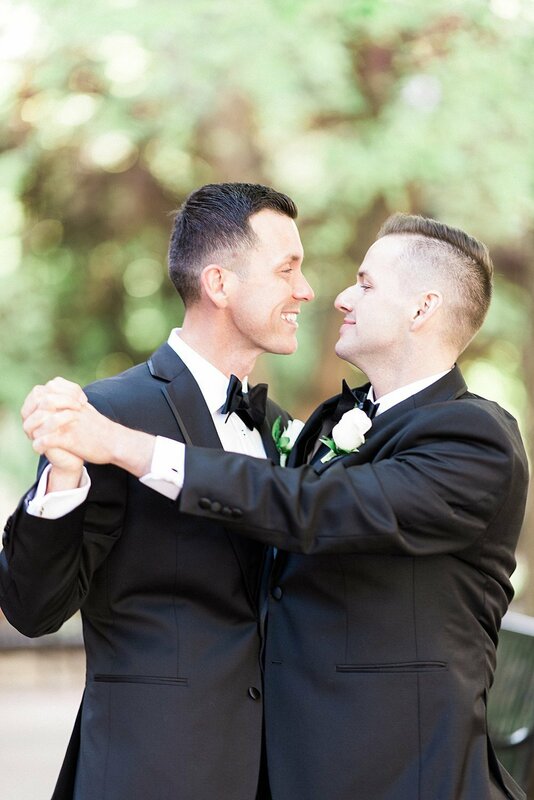 We’re always emotional when a couple plays “Marry Me” by Train (as this was the song we played when greeting each other at our own wedding), but during Cory and Matthew’s ceremony, all we saw from the guests, family and friends alike, were tears of joy and genuine celebration of this union. 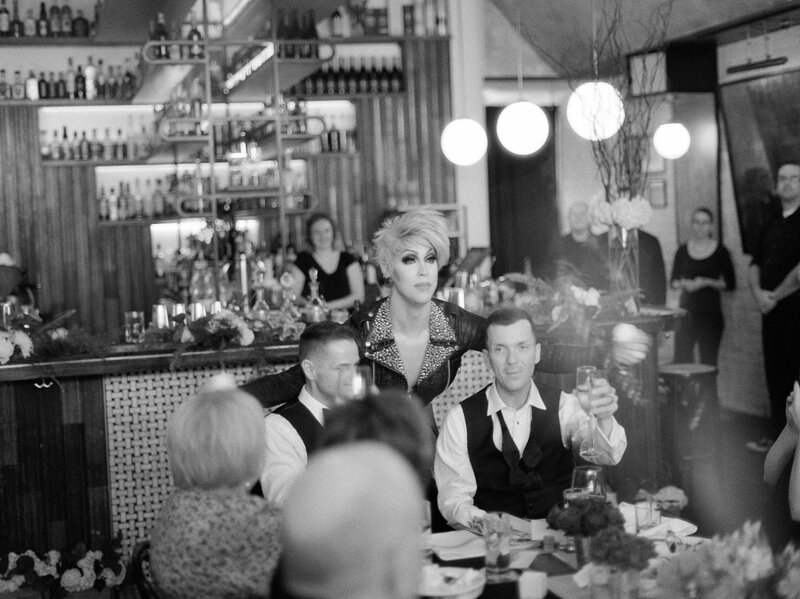 To get the party really going, though, the couple planned a surprise drag show featuring three performers brought in specially for this occasion. The performances were truly amazing, and guests even got to have a photo op at the end of the show against the lush greenery wall the two helped design as the backdrop for their day. 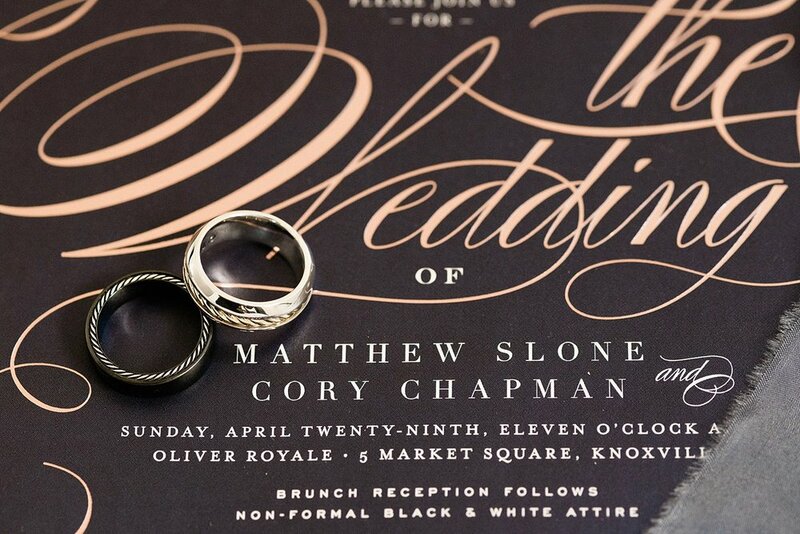 Everything about Cory and Matthew’s wedding was so personalized, beautifully styled, and absolutely them in every aspect. We still haven’t gotten over how magical this day was or how much fun we always have with them. 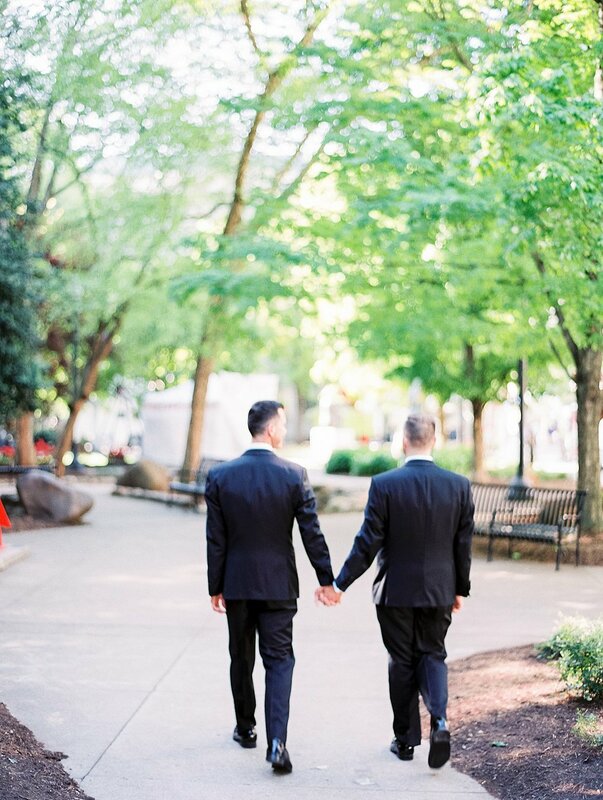 Cheers to our friends, Cory and Matthew, who love each other so deeply and inspire us to share the love as well.